We tested some more of our early ripening plots on Monday. The results look good with maturity coming along nicely. 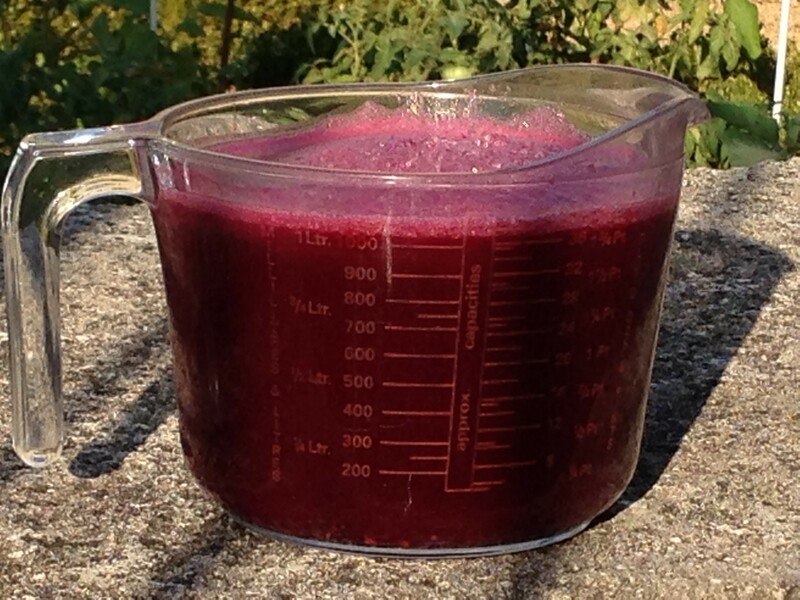 The Syrah in Cru Vinsobres looks like it it will be ready mid-next week (take a look at the beautiful colour of Syrah juice in the photo below) and our current plan is to bring that in together with the Côtes du Rhône Grenache to the South of the winery on Wednesday next week, the 21st. The complicating factor is that storms are forecast for this afternoon. We’ll need to wait and see how much rain we get as you need to leave the grapes for a few days after a big rainfall for the vine to have a chance to rebalance the sugar content. So what we’ll do is take some more readings on Monday to check maturity before making the final decision. 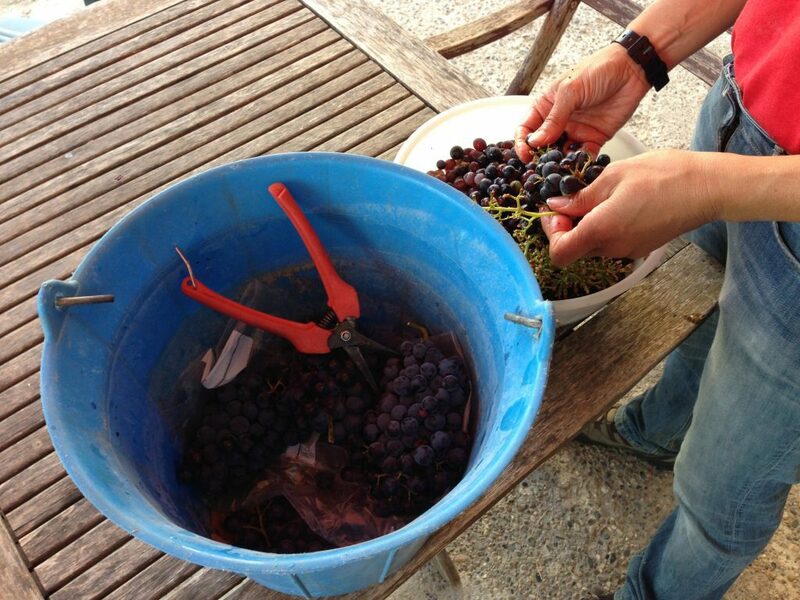 In the meantime it’s back to cleaning and final harvest preparation in the winery!